Herbs to use at the first sign of cold/flu to stop it w/in 24 hrs. Approximately 36,000 people die from the flu and pneumonia. That's just for the U.S. The statistics worldwide are even worse: according to the World Health Organization (WHO), 250,000 to 500,000 people die worldwide each year due to the seasonal flu. I'm no stranger to the flu. When I was young, I caught the flu all the time due to having severe allergies that caused me to have to take prescription antihistamines, decongestants, injected steroids, steroid nasal sprays, and 3 types of asthma inhalers. The doctors told me that my allergies predisposed me to having the flu and recommended annual flu shots. The years I received my annual flu shot, I still came down with the flu. Nothing could stop the flu from going down into my lungs and causing severe coughing and wheezing along with the horrifying body aches, weakness, headaches, sore throat, and fever. One of the hopes I had when I entered medical school to become a regular MD, was that I could overcome these health challenges. Instead, all of my health problems worsened. In addition to that, I developed an anaphylactic reaction to the Hepatitis B vaccine that was required in order for me to get into medical school. That anaphylactic reaction turned into epileptic seizures that plagued me for almost 4 years - the entire time I was in medical school. Twice daily, I had seizures that were so severe, I repeatedly dislocated my shoulders in addition to having the usual cuts in my mouth. In my desperation, I started researching natural healing methods and eventually found a holistic RN who would help me heal my body while I continued my medical training. 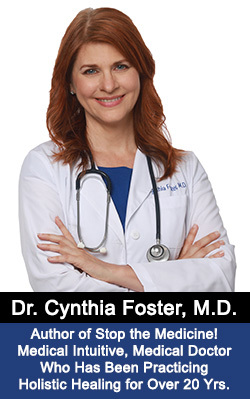 By the time I graduated from medical school with my medical degree, I ended up completely cured from the epilepsy - not because of any medical treatment (the medical doctors had completely misdiagnosed me and given me the wrong medications) but because of the extensive holistic knowledge of a nurse who had been practicing holistically for over 20 years. I had found the answer to my epilepsy, but I was so radically changed by the experience, I no longer wanted to practice medicine. 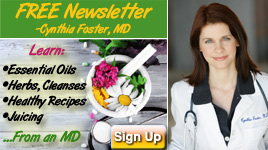 So, I left medicine twenty years ago and began practicing natural healing with the hopes that my patients could also experience the miracle healing that I had experienced for myself in addition to all of the miracle healings I had witnessed in that holistic nurse's office with her natural healing techniques. And now, it's been over 20 years since that fateful day when I first opened up my holistic practice. Now, if I (or any of my patients) catch a cold or flu, I immediately know what to do, and I no longer need any prescriptions - for allergies, colds, flu or for anything else. So, I'd like to teach you what I know about the flu and what to do about it naturally so that you don't end up in a doctor's office with overpriced prescription medications that only reduce the length of the flu by one day, a flu vaccine that keeps you in bed with flu-like symptoms, or antibiotics that simply don't work at all for the flu. Keep reading - the following is an eye-opener! Historically, there have been 3 pandemics of influenza A during the 20th century which spread throughout the world: "Spanish flu," "Asian flu," and "Hong Kong flu"
The "Spanish flu" was the deadliest flu known. In 1918-19, more than 500,000 people died from the Spanish flu in the U.S. and an estimated 50 million people died worldwide. Nearly half of those who died were young, healthy adults. Many died in the first few days of infection and others died of secondary complications. This type of influenza ([A (H1N1)] is still in existence and circulating. The "Hong Kong flu" began in 1968 in Hong Kong and spread to the U.S. later that year. It caused about 34,000 deaths in the U.S. and 1 million deaths worldwide. This type of influenza [A (H3N2)] still circulates today. The "Asian flu" and the "Hong Kong flu" were caused by viruses containing a combination of genes from a human influenza virus and an avian influenza virus. The "Spanish flu" appears to have an avian origin. It is thought that the main reason avian flu spreads to humans is because in the wintertime, the rural Chinese farmers bring their chickens into the house to keep them warm. Close contact with chickens is what appears to cause the mixing of avian flu with human influenza viruses, which combines to form a brand new type of influenza virus to which no one has an immunity. Since no one has an immunity to it, massive numbers of people die. The flu is caused by several varieties of the influenza virus. Antibiotics do not work at all against viruses and may make colds and flus worse. Cough supressant medications used for a productive cough (a "wet" cough that produces phlegm), can cause pneumonia due to toxic material retained in the lungs. According to the information provided by antiviral medication manufacturers, prescription antiviral medications may shorten the duration of the flu by a mere one day only. Antibiotics work against bacteria, but they do not work against viruses. Bacteria do not cause colds and flu - VIRUSES cause colds and flu. ANTIBIOTICS ARE 0% EFFECTIVE AGAINST VIRUSES. Medical doctors are well aware of the fact that antibiotics should not be used for a cold or flu. They understand that they should not prescribe them for viral infections, but they prescribe them simply because patients demand them and not because they work. Since colds and flus usually go away in time anyway, people are under the wrong impression that they recovered because of antibiotics. In fact, antibiotics may have delayed their healing. Antibiotics are supposed to be reserved for the very elderly or those who have weakened immune systems such as organ transplant recipients or those undergoing cancer chemotherapy or other immunosuppressive regimens. More about antibiotics. Finally, people are under the impression that the flu vaccine completely protects them from the flu. Each year, the vaccine is an educated guess that contains whichever strains of the virus seem to be the most prevalent. There are hundreds of strains of the flu virus and the virus mutates quickly, so sometimes the vaccine is completely off. Many people have found out the hard way that not only did the flu vaccine NOT protect them from the flu, but the vaccine ITSELF GAVE them the flu. This happens when the vaccine manufacturers fail to weaken the virus sufficiently, and the virus is strong enough to cause an infection. More about vaccines. Contrary to popular opinion, colds and flus do NOT have to last for seven days. I've used herbs to get rid of colds and even the flu in as little as one day. Many people take echinacea and goldenseal in powdered capsules and watch their colds and flus last just as long as if they hadn't taken it. This happens because they didn't take my herbs. Instead, thinking they could get a better deal elsewhere, they took cheap, weak and watered down formulas from the drugstores and health food stores. You simply cannot get a strong echinacea formula from a discount store because the fact remains that discount stores cut corners and use lower quality herbs. Lower quality herbs and herbs that are near expiration date are often sold at deep discounts. Taking these herbs is like throwing your money down the drain and they certainly don't do much to prevent or heal the flu, either. Many people such as Christian scientists, Scientologists, the Amish and natural health adherents are against taking vaccines and medications. What are the alternatives? Echinacea Premium Formula - During cold and flu season, go through one bottle for a week each month in order to keep the immune system strong. The Echinacea Premium Formula is the most potent echinacea formula available. It is about 10 - 20 times stronger than powdered echinacea in capsules. Most people take powdered echinacea in capsules. They take low doses, fearing a possible overdose. Others are afraid of echinacea because they have autoimmune disorders. This fear drags out their misery unnecessarily. I have used echinacea to heal autoimmune disorders and I've never had a negative reaction to it. Medical doctors think that echinacea works like a drug. It does not. It works like a balancing herb having MANY actions on the body, NOT like a drug with simply one action. It is their ignorance that keeps this misinformation about echinacea out there. In reality, echinacea is a balancing herb that will do to the immune system whatever is needed. It might rev it up, or it might tone it down, depending on what the body needs. In either case, it heals and it heals quite well no matter who takes it. Echinacea is a strong therapeutic herb that works best when taken for short "bursts" such as one week out of each month. Do not take it every day. If taken daily, its effects weaken, but it is not harmful. See my special report on the effectiveness of echinacea. AntiViral Essential Oil Blend - Contains essential oils known for the activity against viruses such as eucalyptus, oregano, lemon, and clove. Apply to bottoms of feet during cold and flu season to protect against infection. Diffuse in a diffuser at home or work for 15 minutes twice daily to kill airborne viruses in the environment. If no diffuser is available, use several drops of any antiseptic essential oil in a spray bottle with water and spray into the air wherever you are. Hand Hygiene: Very important: wash your hands often, and do not touch your fingers to your nose or eyes. 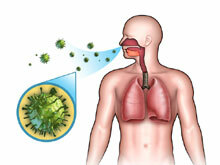 Influenza is typically spread through infected respiratory secretions. These secretions are released into the air when an infected person coughs or sneezes and other people inhaled those infected particles. They are also spread when an infected person touches their nose or eyes, and then doesn't wash his hands. When he shakes hands with another person, and that person touches their eyes or nose, the virus spreads to this next person. This is called hand to hand transmission. Germ Shield can be used as a hand sanitizer. Germ Shield is made up of essential oils that have demonstrated activity against bacteria and viruses. (Therapeutic grade essential oils of Peppermint, Eucalyptus, and Tea Tree Oil) Many people do not like to use the conventional hand sanitizers available at the drug stores since they contain toxic chemicals as well as alcohol that dries out the skin. We don't need toxic chemicals in order to kill germs - therapeutic grade essential oils do the job nicely. Take a few drops of the Germ Shield and rub into hands until it disappears. This is a completely nontoxic, nondrying alcohol-free formula that smells minty. The Essential oil of Lemon can also be used as a hand sanitizer. Protective Barrier: Keep in mind that most colds and flus begin colonizing in the nasal area first. If you can kill the virus in the nose, it cannot continue to spread. Germ Shield can be applied on the upper lip just under the nose or in the nostrils just before boarding an airplane or traveling with large groups of people. Get Enough Sleep: Studies show that when college students are staying up late hours studying for final exams, their risks of catching a cold or flu rises significantly. Getting enough sleep raises resistance against viruses. Keep Warm: getting a chill lowers resistance against viruses. Wear a scarf, hat and gloves when going out in cold weather. Stay Away From Phlegm-Producing Foods, especially dairy products, and especially ice cream. Sugar and dairy in the wintertime is a great recipe for an infection to take hold and spread. I had a young patient who came down with chickenpox, and I asked his mother what he had eaten for dinner last night, and her answer was, "A big bowl of ice cream." Generally speaking, it is not a good idea to consume frozen foods or beverages such as ice cream, frozen yogurt, popsicles, ice water or other iced drinks in the wintertime or whenever it is cold outside. This is because the cold weather cools the body, which is already a slight stress on the body. But then consuming frozen foods and iced beverages chills the body even more, and this excess chill leads to an increased vulnerability to infection. Germ Blaster (formerly Super Hot Cider) - I've had many people swear to me that they believe this is the cure for the common cold. This germ-blasting formula is incredibly powerful. With garlic, onions, cayenne, ginger and horseradish root in a base of organic, raw, unfiltered apple cider vinegar, there is no germ that can survive in the body when this formula is used. This formula is not sweetened or otherwise watered down like the store-bought varieties. It is full strength and very potent. This formula is so potent, that I've used it to heal up pneumonia that did not respond to antibiotics. This formula helps the greatest number of people with colds and flus and is my highest recommendation. Take 4 to 10 droppers full as needed. Top stop the cold or flu as quickly as possible, take one dropper full every hour on the hour. You have to do this at the first sign of cold or flu. If you do this within the first 24 hours of getting the symptoms, you can be completely done with it by the next day. If you waited until you are a few days into the cold or flu, you can still speed up your recovery time with this formula. Echinacea Premium Formula - see above. At the first sign of a sniffle or cough, the dose is 1 dropper full per hour, or 2 droppers full every 2 hours. After the first 24 hours, and if there has been a response, the dose is then lowered to 2 droppers full 6 times daily. They key to stopping a cold or flu fast is to take this remedy every hour on the hour, so that first 24 hours is crucial if you want to stop it fast and be done with it by the next day. Essential Nutrients - getting sick is a big energy drain. This formulas is nutrient-dense, packed with naturally-occurring vitamins and minerals. It includes spirulina, chlorella, alfalfa, barley grass, wheat grass, beets and risotriene. With this super-nutrient-packed formula, people can still function while their body is fighting off a virus. Make sure to take a double dose of four tablespoons per day for the extra energy needed to heal. Many people underestimate the power of nutrition to heal colds and flu - they think it's all about antivirals. Your body needs nutrition to heal from EVERYTHING. Vibrant Colon - one of the most common reasons for a cold or flu is toxic buildup. 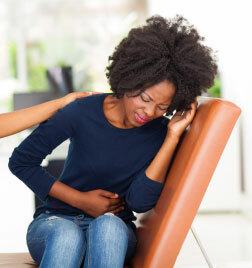 If constipated, toxins accumulate in the body, and then the body must use the cold/flu reaction to get rid of it. Take as many capsules as needed to reestablish 2 to 3 bowel movements per day. Take one or more of the above formulas. One formula is sometimes all it takes. Remember, these are extra strength herbal formulas. I designed these formulas to be super strong because that's what I needed when I went through the epilepsy 20 years ago and cured it naturally without medications or surgery. The formulas I used to cure myself were super concentrated, so I wanted the same for all of my patients. Why heal things slowly with watered down extracts and burnt herbs in capsules when you can do it faster? You may not get the same results with store-bought formulas because those are based on National Formulary and USP standards which is about 4 to 10 times weaker than Dr. Fosters Essentials Extracts. If you try to take weaker formulas from the health food store, you'll have to quadruple the doses (or even more) of those store-bought formulas in order to get the same result. Then you run the risk of getting drunk on the alcohol in the tinctures. These weaker store-bought extracts, are mostly alcohol with only a bit of herbs. Dr. Fosters Essentials formulas are mostly herbs with only a bit of alcohol. Click here to learn more. I dislike writing this paragraph, but too many people follow my recommendations with store-bought formulas, trying to save a couple of bucks, and then they complain because they don't get well. Hint: no one should be buying their herbs in a conventional drugstore. These are cheap, low quality, watered down herbs that have been overly processed and probably even burned by the powdering machines before they were encapsulated. Until there is better quality control in herbal manufacturing, I can only vouch for the herbs sold on this website. Herbal Cough Syrup - this is such a soothing herbal syrup, and the cooling essential oils of peppermint and tea tree are so powerful. When you get a cough that just won't quit, you want something soothing such as the honey and essential oils, as well as expectorant power of herbs, like wild cherry bark, that helps you get the phlegm out, so that it doesn't stay inside and cause pneumonia. Combination of Cayenne Tincture and Peppermint oil with water used as a gargle. Sounds like it wouldn't work, but it really helps the pain. When you gargle with these two together, they create a hot and cold sensation at the same time at the back of the throat - a welcome distraction from the pain. Additionally, cayenne interrupts Substance P, a substance the body produces during pain, so after several gargles, the pain diminishes. It's absolutely unbelievable. These two are like a godsend for a sore throat. Gargle with Echinacea Premium - not only it is effective against many strains of bacteria and viruses, but it is also a topical anesthetic that can numb the pain of a sore throat. or Celebration oil can also be used as a gargle or added to a spoonful of honey to help numb sore throat pain. Do not swallow clove oil straight out of the bottle. It's too strong this way, and it may hurt! Always dilute with oil, honey, agave syrup or soy milk first and only use 1 to 2 drops. Celebration oil can be used in the same way as clove oil. The cinnamon oil in Celebration is additionally effective against many types of bacteria. Click here to see the research. All of the essential oils in Celebration are on the FDA GRAS list which means they are safe for consumption. However, do not consume Celebration oil straight out of the bottle. It should always be diluted first with honey, agave syrup, oil, or soy milk and only use 1-2 drops. I recommend honey or other sweetener because Celebration oil blend does not taste good by itself. Lobelia Tincture - one dropper full is taken as needed to open up the lungs and make breathing easier. This tincture can be used by anyone and doesn't interact with any medications. This helps open up breathing passages when there is difficulty breathing or coughing spasms. People with asthma have a higher risk of colds and flu due to the underlying issues in their bronchial passages. Anyone with asthma should consider stocking up on this herb, as there is hardly any other herb powerful enough to dilate the bronchial passages. When you're struggling to breathe, it can make all the difference. Echinacea Premium Formula - can still help speed up recovery. One dropper full is taken every hour for the first day and then the dose is decreased to 2 droppers full 6 times daily thereafter until the bottle is gone (even if feeling better by this time). Germ Blaster - see above. Due to its natural expectorant and antiseptic action, this is the absolute best thing to take if a cold or flu has moved into the lungs. Garlic, Cayenne and Ginger stimulate the circulation, and speed up the removal of waste through the colon, while horseradish helps to clear sinuses. Garlic and white onion are specifics for strengthening the lungs, and the apple cider vinegar helps alkalize the entire body. I've seen miracles with this formula, especially in people who have severe lung congestion. Herbal Cough Syrup - feels especially good if there is also a sore throat. Coats and soothes. Also contains special lungs herbs to increase the elimination of toxic phlegm from the lungs. Cayenne - use a few drops to help bring out phlegm or fluid that has settled into the lungs. Don't be afraid of cayenne: simply take it with food. There are a few exceptions to this rule: cayenne has a mild to moderate laxative effect, so don't take it if you have active diarrhea. Take one or more of the above formulas. Any of the herbs used for acute cold or flu can also be used once the virus has taken hold. The herbs will help speed up recovery and help to avoid complications such as bacterial infections in the lungs. Bacterial infection in the lungs not very common and usually only happens in those with pre-existing lung disease or a compromised immune system (such as in AIDS or patients undergoing cancer chemotherapy). Bacterial infection of the lungs is the only indication for using antibiotics. If one can avoid these complications by tending to a cold or flu naturally, antibiotics should not be needed. Lobelia - take 15 to 35 drops 5 to 6 times daily to help with intestinal cramping/spasms and help body to release toxic material. Lobelia is a classic cathartic herb that helps purge foreign materials from the body. Sometimes alternating lobelia with a few drops of cayenne can help when nothing else works. When you are doubled over with knife-like pains all over your belly, cramps and spasms, lobelia is one of the best herbs to release it. Cramp Away - to help release spasms. Contains both cayenne and lobelia as well as cramp bark and other antispasmodic herbs. Colon Detox Caps - to absorb the virus and viral toxins out of the bowel. It's the charcoal and clay that absorb the toxins and the slippery elm that helps soothe inflamed bowel tissues, softening the stool, bulking it up with psyllium and slowing down the diarrhea. Most important formula to have on hand when intestinal illness strikes. Echinacea Premium Formula - to keep the blood clear of virus particles and viral toxins. Do not take Germ Blaster if there is severe diarrhea. Nothing I did worked. What do I do? Sometimes nothing you do works. In these cases, the immune system is usually very weak. If nothing else works, I always go immediately to a juice fast and continue taking any relevant cold and flu formulas. Usually in a few days of juice fasting, the cold or flu is over. 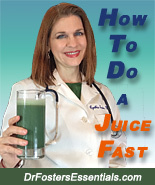 If juice fasting doesn't work, breathing becomes difficult, or people don't feel comfortable with their ability to heal themselves naturally, they can always go to their local emergency room. These contain so-called "sterilized" blood and pus from animals infected with the viruses thought to cause the flu and pneumonia. "Infected pus" is the layman's term. Pus is composed of white blood cells, and is a blood product. They are not kosher. They are often taken from monkey's blood since the genetic material of a monkey is the closest to human genetics. They are prevented from spoiling in the vial by the addition of mercury, formaldehyde and other hazardous and cancer-causing preservative chemicals. Some are made with egg yolks (the yolk is used as "food" on which to grow the virus) and can cause allergic reactions. Vaccines often contain thimerosal, a form of mercury, which is toxic to the nervous system and sometimes causes brain and neurologic injury in children and the elderly. Medical doctors are also well aware of these complications of vaccines, although few would be willing to openly admit it to their patients. The flu vaccine is composed of several variants of the particular types of viruses that are anticipated to cause the flu that year. The flu is caused by several types of viruses, numbering over 200. The vaccine does not contain protection against ALL of the viruses that cause the flu because it would be an enormous dose, and because it is not possible to know all of the variant mutant strains that can develop. There have been years where the authorities were wrong about which strains were going to infect the population and the vaccine contained all the wrong viruses. Also, flu viruses mutate (change themselves)sometimes so rapidly, that a vaccine for the old variant given at the start of flu season no longer works in the peak of flu season. This means that it is possible for the flu vaccine to be 0% effective if the experts do not correctly predict which viruses will be causing the flu this year. Epidemiologic evidence points to a phenomenon called "herd immunity." Large numbers of people can develop immunity against a virus that is spreading among the population even though they have not been exposed to it. The development of herd immunity is theorized by top scientists to be the main reason why an epidemic begins to die out before there is even time to get a vaccine out to the public. This makes it look like the vaccine worked against the virus, when in actuality, people simply developed an immunity to the virus naturally. In recent years, medical experts have started to change the definition of "herd immunity." They claim it is something that develops in response to a vaccine. This is false information. When we look at immunity, we have to analyze which immunoglobulins are being stimulated. When the blood is injected or invaded with bacteria, viruses or other foreign materials, it's the IgM antibody that will be produced as a defense against that invader attacking the blood again. For exposure to germs in the lungs, sinuses and mucous membranes, it's IgA that will be produced. IgA is the type of antibody produced in the mucous membranes of the nose, sinuses and lungs. This antibody is what protects those tissues from infection. 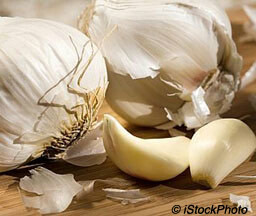 It's crucial and necessary in order to have a complete immunity against colds and flu. Since the flu is spread through respiratory droplets that travel through the air and go into mucous membranes, IgA is the body's first defense against it. If you don't have an IgA response, the virus can easily spread through the entire respiratory tract. You can inject viruses into the blood all day long, but you will never get an IgA response - only IgM and IgG. This may explain the somewhat high failure rate of injectable vaccines. Of course, there are the vaccines that are applied inside the nostrils that stimulate IgA, however, these are usually live (although weakened) viruses, and many people do actually catch the full flu this way. With all of the additives, and seeing as how these additives will go right up the nose and into close proximity to the brain (particularly the pituitary gland - the master hormonal gland of the entire body), I'll pass on those. The only remedies I want in my nose are pure saline, herbal powders or unadulterated therapeutic grade essential oils. Antibiotics kill BACTERIA only. They DO NOT KILL VIRUSES. Colds and flus are caused ONLY by VIRUSES. They are not caused by anything else. They are NEVER caused by bacteria. Antibiotics are 0% effective for colds and flu or other viral infections. They are only effective for bacterial infections, and as I said before, colds and flu are not bacterial infections. There are many people who take an antibiotic at the first sniffle. This is not what antibiotics are designed for. This overuse of antibiotics contributes to antibiotic resistance. The overuse of antibiotics leads to stronger and stronger strains of bacteria that antibiotics cannot kill. We need to stop taking antibiotics for viral infections (colds and flu) - they do not work for viral infections. Many problems occur when we stop the body’s natural process of eliminating toxins and poisons. 1) Cough suppressants such as codeine are opiates which cause constipation. Constipation is a big reason why the body was forced to use the infection mechanism to rid itself of poisons. Inside intestines of people who are not having regular bowel movements, food is rotting, causing serious toxicity problems. We can compare this scenario to a fish tank and ask the question, "What would happen if a person never changed or filtered the water in their aquarium?" And the answer is that the fish would drown in their own waste. Likewise, one should never stop a natural elimination of toxins such as occurs with the coughing up of phegm. Doctors know that stopping a productive cough often leads to pneumonia. If one is coughing up phlegm, it is the body’s way of removing toxic substances from the lungs. If it stays in there, the infection often gets worse. 2) Antihistamines and decongestants leave the toxic material in the sinuses, which can and often does lead to recurrent sinus infections and more vulnerability to colds and flus in the future. The body always attempts to remove this toxic material. For those who live in a big city, keep in mind that many of these poisons are smog and hydrocarbons. Because this toxic material is retained instead of eliminated, the flu can last even longer. The body repeatedly uses the infection mechanism until the poisons are out. Keeping them in is like asking for another infection, and even a relapse. This is also a reason why so many people suffer from recurrent sinus infections, ending up taking several rounds of antibiotics. Anyone who wants to approximate the synthetic drug with herbs can use the Sweet Essence Essential Oil Blend. It contains fennel oil as well as other essential oils such as cinnamon2,3,4 which have shown significant activity against bacteria and viruses. Personally, I've seen therapeutic quality cinnamon oil have an even stronger effect than anise or fennel oil, but anise and fennel oil are classic herbs to use for coughs and colds. Herbalists have been using anise and fennel against colds and flu for centuries. The main constituent of anise and fennel is trans-anethole5. Anise (Pimpinella anisum) is approved by the German Commission E for the common cold, cough/bronchitis, fevers and colds, inflammation of the mouth and pharynx, dyspeptic complaints and loss of appetite.6 Fennel oil is approved by the German Commission E for the treatment of cough, bonchitis, and dyspeptic complaints. 7 It is therefore no secret that anethole and trans-anethole are effective against the symptoms of colds and flu, and that there is more than one herb that contains these phytoconstituents. Generally, speaking, most herbalists believe that a combination of synergistic herbs works better than taking a single herb alone. If the medical profession understood this, they would make their drugs from multiple active components instead of simply focusing on one. Focusing on a single active component is often what leads to side effects. So, what can I do to heal myself naturally? Catching it early means it will more likely be only a one hour cold or flu. I’ve known many people who have taken several droppersful of echinacea extract at the first sign of symptoms and their cold or flu disappeared immediately. Taking the Germ Blaster Formula in the first 24 hours of a cold can often completely stop it. Using the Germ Shield in the nostrils in the first 24 hours when the virus is still in the nose can also stop the virus outright and result in the complete disappearance of cold symptoms. If the cold has settled in after a couple of days, don't expect it to go away immediately with herbs. Although the cold will typically go away faster than if one had not taken herbs at all, it usually does not go away the next day. In severe cases, people can take one dropperful of echinacea every hour until they are well. The beauty of herbs is that they can be taken in low doses every hour on the hour, which is often the one strategy that is the most effective in dealing with infections. This hourly dosing is not possible with synthetic medications due to toxicity issues. It is generally believed that Echinacea is not an herb to take every day. Herbalists believe it is best not to take any daily supplements that contain Echinacea since the body can develop a tolerance to it and respond less and less to it when taken daily, and then it won't be an option to take when you would really need it. People usually get the best results with echinacea when they use it for a week or two at a time, and then stop for at least a week. 1 Phytother Res. 2002 Feb;16(1):94-5. De M, De AK, Sen P, Banerjee AB, Department of Biochemistry, University College of Science, 35 Ballygunge Circular Toad, Calcutte 700 019, India. Antimicrobial properties of star anise (Illicium verum Hook f). 2 Int J Food Microbiol. 2005 Oct 30. Matan N, Rimkeeree H, Mawson AJ, Chompreeda P, Haruthaithanasan V, Parker M. Faculty of Agro-Industry, Department of Product Development, Kasetsart University, Bangkok 10900, Thailand. Antimicrobial activity of cinnamon and clove oils under modified atmosphere conditions. 3 J Agric Food Chem. 2004 Dec. 29;52(26): 7862-6 Lo Cantore P, Iacobellis NS, De Marco A, Capasso F, Senatore F. Dipartimento di Biologia, Defesa 3 Biotecnologie Agro Forestali, Universita degli Studi della Basilicata, Viale dell'Ateneo Lucano 10, 85100 Potenza, Italy. Antibacterial activity of Coriandrum sativum L. and Foeniculum vulgare Miller Var. vulgare (Miller) essential oils. 4 J Infect Chemother. 2001 Dec;7(4):251-4. Inouye S, Yamaguchi H, Takizawa T. Teikyo University Institute of Medical Mycology, 259 Otsuka, Hachioji, Tokyo 192-0395, Japan. Inoue@big.or.jp Screening of the antibacterial effects of a variety of essential oils on respiratory tract pathogens, using a modified dilution assay method.